The easiest way to get your free book into your Kindle Fire is by using our Book Cave Direct app. Click here to learn how to do that. For other Kindles, or when the Kindle Fire is not cooperating, Amazon's “Send to Kindle by email” is a good option. Amazon assigns an email address to every Kindle device and most Kindle apps. You forward the ebook to that email, and within minutes it should download to your Kindle. But to avoid spam, Amazon doesn’t accept docs from just anybody. You have to tell Amazon which emails it is OK to receive docs and ebooks from. Note: this process also works for the Kindle app. Amazon will ask you to login. Click the “Settings” tab (there are 3 tabs across the top of the page, "Your Content", "Your Devices", "Settings"). Scroll down until you see the “Personal Document Settings” heading and click it to open the section. Right below “Send-to-Kindle E-Mail Settings”, your Kindles and Kindle apps will be listed with their assigned email addresses. Write down the Kindle’s email address. Just below the “Send-to-Kindle E-Mail Settings” you’ll see the “Approved Personal Document E-mail List”. Click “Add a new approved e-mail address”, type your personal email, and click the “Add Address” button. While on this page, also check that “Personal Document Archiving” is turned on and that “Whispernet Delivery Options” is disabled over 3G. You may not have the Whispernet options on your account, so don’t worry if you can’t find it. 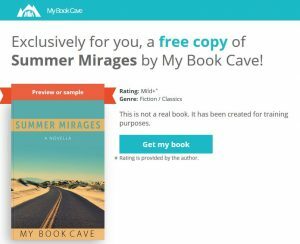 The email you received from us will have the link to the download page (something like https://mybookcave.com/d/0d3c0e4a/). Navigate to that page using your computer, Kindle, phone, or tablet. 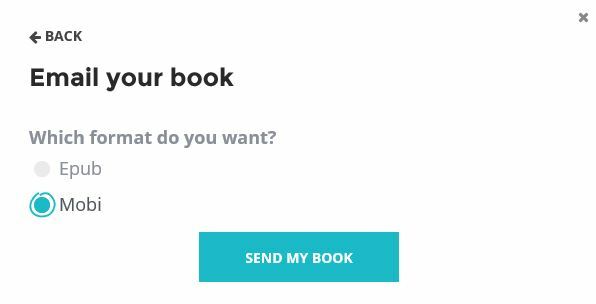 At the bottom of the popup (on a phone you may have to scroll down to see it) tap or click “Email my book”, select “Mobi”, then click “Send my book”. 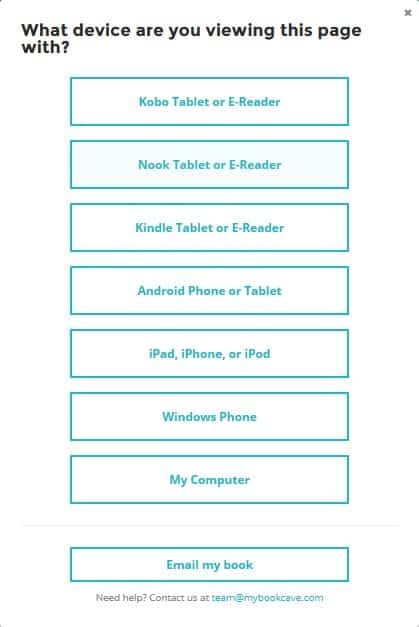 Please email us at team@mybookcave.com if the only device you own is a Kindle that won't open the above popup and we'll email the book to you. Once the email arrives with the attached book, forward it to your Kindle’s email address. After a few minutes, the book should be available on your Kindle. Some Kindles have a tab for Books and another for Docs. If you have a Docs tab, check for the book in there. But sometimes the book won't deliver to your Kindle automatically. If that’s the case, go back to Amazon (https://www.amazon.com/mn/dcw/myx.html#/home/content/booksAll/dateDsc/). 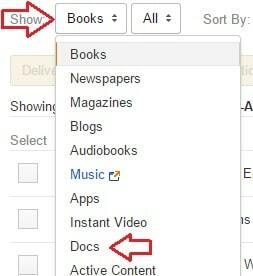 There’s a “Show” dropdown that is probably set to “Books”. Click the dropdown and select “Docs”. Does the book show in the list? If the book is on the list, click the button with the 3 dots. Is there a delivery date? You can select “Others” on the “Deliver to” line, which will open a popup window. 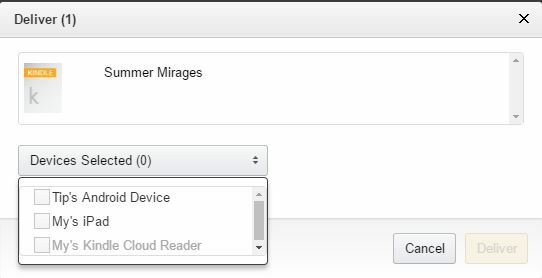 Click the “Devices Selected (0)” button, click you Kindle or Kindle app on the list and hit the “Deliver” button. Please email us at team@mybookcave.com if you need further assistance.